Bloomberg is reporting that compromised hardware from Super Micro Computer was discovered in the network of a major U.S. telecom carrier in August. The name of the carrier was not disclosed. Bloomberg said evidence of the hardware hack was provided by Yossi Appleboum, who is co-CEO of Sepio Systems, a security consultancy based in Gaithersburg, Maryland. Super Micro is still refuting the claims and no information regarding tampered servers. Microsoft shared details of its Project xCloud, which will use state-of-the-art global game-streaming technology to allow users to play on any device. The idea is to make the gaming experience to music and movies — available on demand and accessible from any screen. 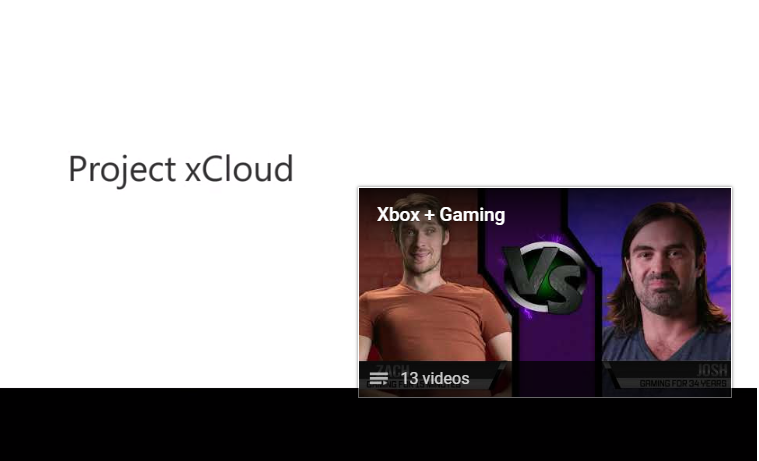 Microsoft promises to make it easy for developers to bring their content to Project xCloud. Project xCloud public trials are expected to begin in 2019. Microsoft said the initial focus is "on delivering an amazing added experience to existing Xbox players and on empowering developers to scale to hundreds of millions of new players across devices. Our goal with Project xCloud is to deliver a quality experience for all gamers on all devices that’s consistent with the speed and high-fidelity gamers experience and expect on their PCs and consoles." Cloud game-streaming is expected to be a multi-faceted, complex challenge. Microsoft noted that compatibility with existing and future Xbox games requires custom hardware blades for its data centers. The customizable blades host the component parts of multiple Xbox One consoles. Huawei introduced a CloudEngine series data center switch providing 128 x 100GE ports and featuring a maximum switching and forwarding capability of 25.6 Tbps. Huawei said the new 4U high CE9860X switch will support future 400GE ports. 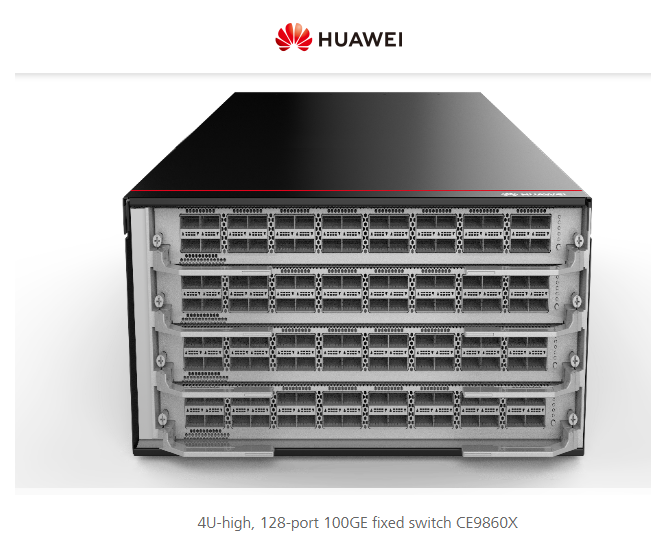 Two of these CE9860X switches, along with Huawei's 25GE/10GE CE6800 series switches, can be used for spine-leaf network for data centers with fewer than 3000 servers. 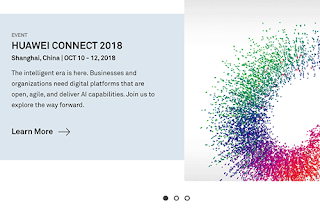 Huawei announced its next-generation Intent-Driven CloudCampus solution featuring SmartRadio WLAN performance optimization, AI-powered intelligent O&M engine CampusInsight, and AI-powered proactive security protection of campus networks. "We believe that future campus networks will quickly have three distinct characteristics: ubiquitous wireless, intelligent operation and management, and cloud-based management," said Zhao Zhipeng, General Manager of Huawei's Campus Network Domain. "To support digital applications, future campus networks will become more intelligent than ever. 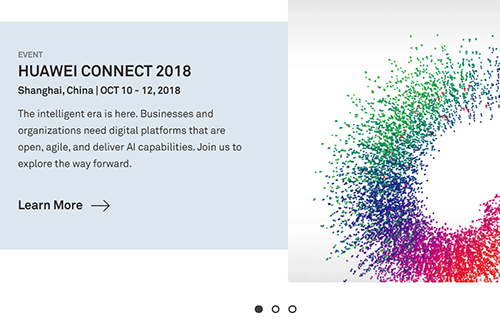 To bring the future to today, Huawei's latest Intent-Driven CloudCampus Solution uses big data, AI, and SmartRadio WLAN performance optimization technologies to help enterprise users build high-quality networks featuring always-on business, assured user experience, and simplified O&M." WLAN APs (802.11ac Wave 2 and 802.11ax) will support SmartRadio technology with intelligent Dynamic Frequency Assignment (DFA), intelligent roaming and load balancing, intelligent Enhanced Distributed Channel Access (EDCA), and other algorithms for optimization. The WLAN optimization typically improves the capacity of the entire network by more than 30 percent and greatly enhances the audio and video experience of each user. AI-powered intelligent O&M engine CampusInsight, which provides root-cause analysis of wired and wireless network faults. CampusInsight also uses SmartPersona technology to proactively predict the root cause of poor-quality users and proactively implement optimizations, accelerating network fault remediation from hours to minutes. Encrypted Communication Analytics (ECA) for AI-powered unknown threat and encrypted traffic detection and defense. This system uses the security probes of switches to capture the features of encrypted traffic. By using cloud-based AI models trained on massive amounts of malicious encrypted traffic, Huawei's CIS identifies malicious encrypted traffic with a detection rate of more than 99 percent and a false reporting rate of less than 0.01 percent. The threat disposal time is shortened from days to minutes. 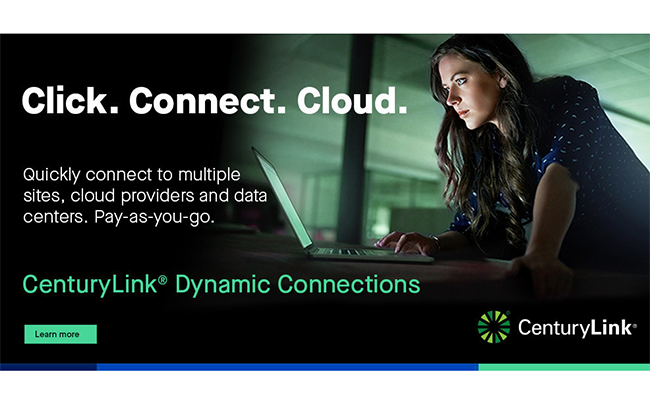 CenturyLink launched a new Cloud Connect Dynamic Connections service that enables real-time creation and deletion of private Ethernet connections to cloud service providers. Customers can now dynamically connect across hybrid cloud workloads including their private cloud and data center locations, as well as within a cloud provider such as Amazon Web Services (AWS). AWS GovCloud (U.S.) is also included in the connectivity options. Cloud Connect Dynamic Connections enables customers to self-provision the connections on-demand through a secure portal or via API integration. 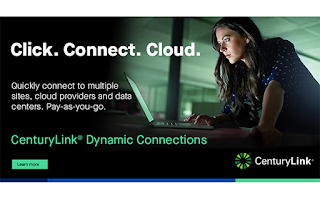 The connections is delivered over private MEF Carrier Ethernet 2.0 connections across CenturyLink's redundant global fiber network of more than 2,200 public and private data centers and over 100,000 on-net enterprise buildings to cloud service providers across the globe. Billing works on a pay-as-you-go model. Every dynamic connection is on an hourly rate with no long-term contract and no early termination fees. TidalScale, a start-up offering software-defined servers, announced $24 million in Series B funding. TidalScale enables organizations to build a virtual server of any size from standard commodity physical servers in minutes. And once it’s up and running, TidalScale’s real-time machine learning layer continuously optimizes system performance. The new funding comes from a strong investment syndicate that includes Bain Capital Ventures, Hummer Winblad, Sapphire Ventures, Infosys, SK Hynix, and a leading server OEM, as well as other undisclosed investors. “TidalScale helps organizations sharpen their competitive advantage by making in-memory computing accessible with data sets that exceed the capabilities of even the largest traditional servers–with linear cost. Our breakthrough Software-Defined Server technology amplifies the value of modern data centers by enabling organizations to build a virtual server of any size—the right size—in just minutes. For our customers, TidalScale Software-Defined Servers have proven to be game-changing. 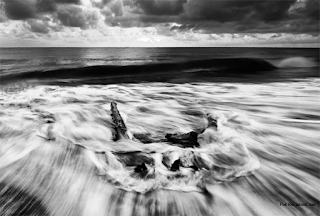 We’re honored that so many respected investors and partners recognize the value and promise of TidalScale,” stated Gary Smerdon, President & CEO at TidalScale. TidalScale is based in Campbell, California. The IEEE has established an 802.11 Extremely High Throughput Study Group to initiate discussion on new IEEE 802.11 features for bands between 1 and 7.125 GHz. The group is identifying requirements for a possible amendment to IEEE 802.11 that would increase peak throughput to support demanding applications such as video over wireless local area networks (WLANs), augmented reality (AR) and virtual reality (VR). Frontier Communications is introducing a new Gigabit service in its FiOS and Vantage Fiber markets, offering its fastest residential broadband service while also increasing its new consumer broadband offer to 200/200 Mbps, and adding higher speed tiers previously not offered in Indiana, Oregon and Washington (300/300 Mbps). Pricing will be the same with or without a contract. 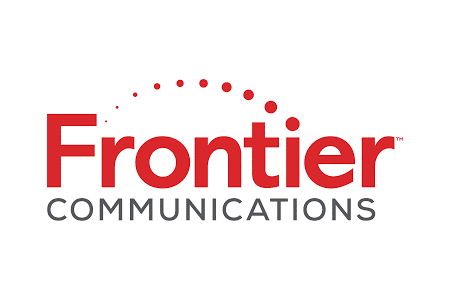 “Frontier is pleased to now offer a 200/200 Mbps service, the fastest, most efficient introductory broadband service available in our markets, plus eye-popping speed and capacity with our FiOS Gigabit for the home,” said John Maduri, Frontier’s Executive Vice President and Chief Customer Officer. 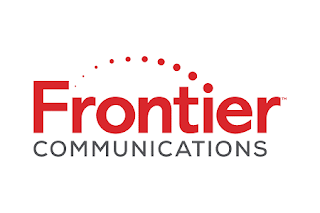 Frontier’s 100 percent, all-fiber FiOS network is available to approximately 1.4 million households in the Tampa Bay region in six-counties along the central west coast of Florida. Frontier continues to invest in its fiber network, expanding its availability to nearly 13,000 single family homes, multi-family units and business addresses in 2017 alone. Overall Frontier’s Florida service territory covers nearly 5,000 square miles. FiOS by Frontier is also offered throughout major urban areas in Southern California; in numerous communities in the Dallas, Texas area; and in parts of Indiana, Oregon and Washington. Vantage Fiber is offered in parts of Connecticut, North Carolina and Minnesota. Availability may be limited in some markets. Vapor IO, which is developing tower-connected edge colocation services, announced the addition of Alan Bock to its executive team, as vice president of business development, telecommunications. He will focus on carrier relationships as well as relationships in emerging verticals that include autonomous vehicles and smart cities. Bock is a former VP at telco infrastructure provider Crown Castle. Previously, Bock served in various roles at Crown Castle International, including vice president of corporate development and strategy where he led Crown’s M&A efforts, including the initial investment in Vapor IO. Prior to Crown Castle, Bock held various managerial and finance roles at Cypress Semiconductor and XO Communications. Bock was also recently on the board of directors of the Telecommunications Industry Association (TIA), a leading consortium of wireless infrastructure in the US. Vapor IO’s Kinetic Edge platform delivers a new category of colocation which will move the intersection of the wireless and wireline networks much closer to the end user. The company recently announced its Series C funding led by Berkshire Partners, with participation from current investor Crown Castle. The funding will be used to build out the nation’s largest collection of colocation data centers and interconnection facilities at the edge of the wireless network.